The downloads section contains an interesting collection of odds and ends, from custom-made wallpapers through to full versions of a selection of songs sung by the crews of the U-boat arm during the war in MP3 format. All MP3 files cost $0.50, with proceeds going towards the upkeep and maintenance of the site. In order to play the MP3 files, you will need a suitable player such as Microsoft's Windows Media Player, iTunes or the popular Winamp application. Clicking the appropriate "Lyrics" link will open a new small window. 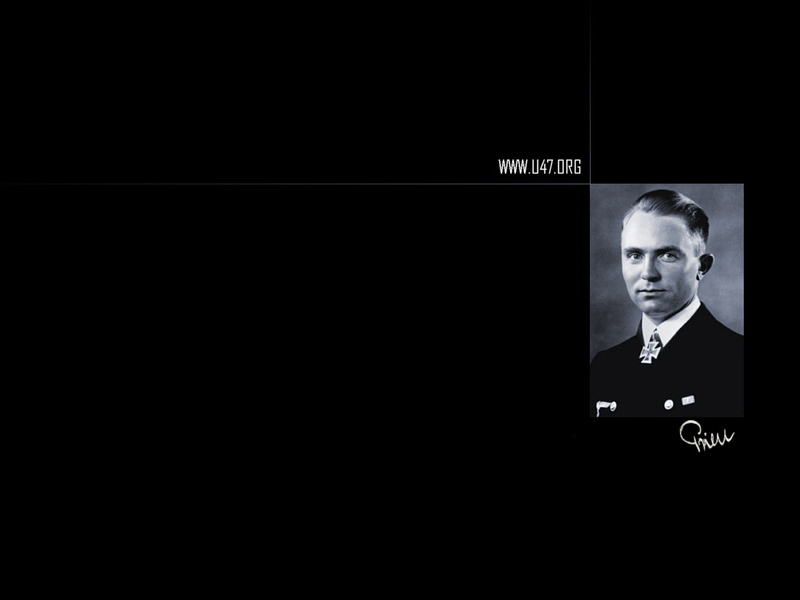 A simple design with the u47.org "Snorting Bull" logo at the lower right-hand corner. 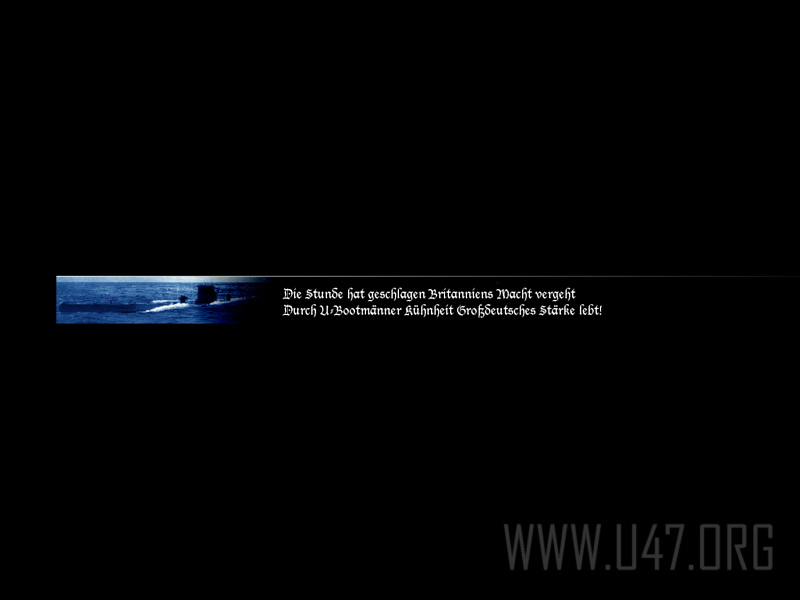 The u47.org "surfacing sub" banner image and U-boat song verse in gothic script. A simple yet striking image and signature of Korvettenkapitän Günther Prien. 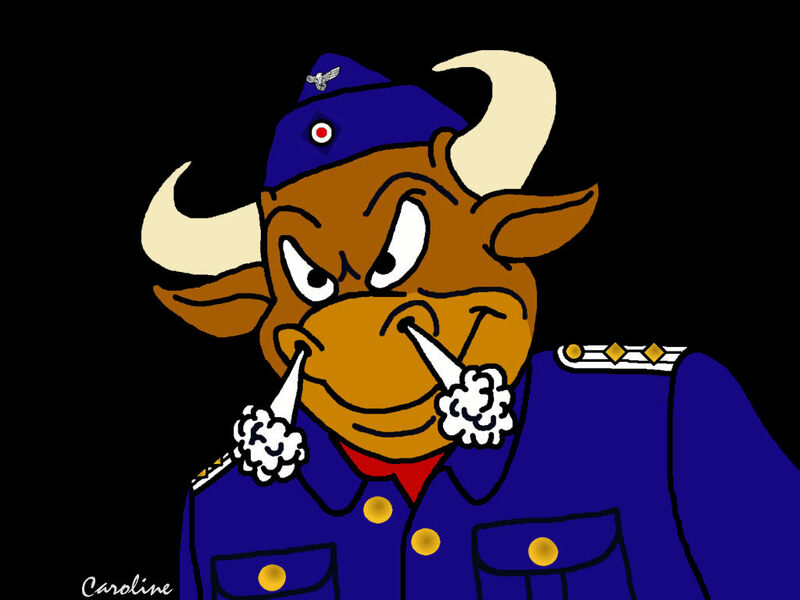 "Bulli" the snorting bull, the official u47.org mascot. To set your desktop wallpaper, just click on the link you want, which will open the selected image in a new browser window. Then click the right-hand mouse button and select the "Set as Background" option (Internet Explorer). For Netscape Users, follow the same directions but instead select the "Set as Wallpaper" option. Your chosen image should then be displayed on your desktop. You can now download a copy of Prien's original logbook map of the attack on the Royal Oak at Scapa Flow. To download the zip file, click here (file size 1.05MB). The items in this section are for personal use only, and are not intended to promote any political ideology. 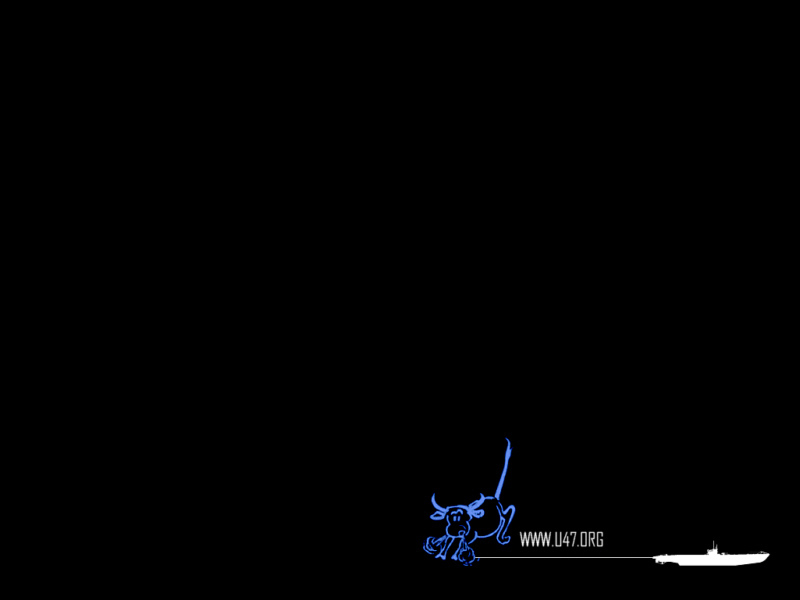 The wallpapers and drawings are the sole property of u47.org, and any unauthorised use or transfer of these images is expressly forbidden.